my wife is currently working at watertown city school district. in 1973 she worked for the state office bldg. at watertown, ny just after graduating high school. i’m wondering if she qualified for tier one or not. any way to find this out? 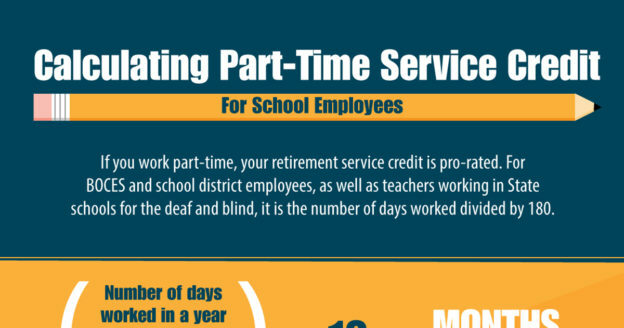 Do people who work Extended School Year programs gain service credit? That depends on whether you are already working full time. 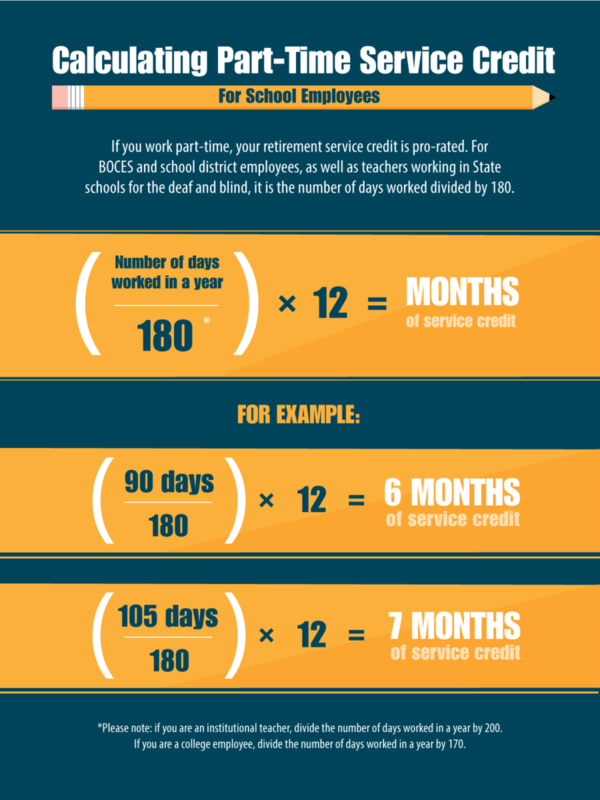 Generally, school employees who work full-time for the school year (September through June) already receive a full year of service credit, and you cannot earn more than one full year of service credit per year. How does coaching a school sport factor into additional service credits earned? I also earn time from my full time county job. Generally, you cannot earn more than one full year of service credit per year. However, your earnings from coaching may factor into your final average salary (FAS) and your pension calculation, if they are part of your highest years of earnings. For information, visit our Final Average Salary page. The above response regarding coaching contradicts what I thought. Isn’t coaching non ERS reportable? Generally, an employee receiving salary from a participating employer may be reported to NYSLRS. Our answer above is a general statement about how full- and part-time earnings and service would work in a pension calculation. For information about a particular situation or job title, please email our customer service representatives using our secure email form. One of our representatives will review your account and respond to your questions. Filling out the secure form allows us to safely contact you about your personal account information. I worked for 6 years in an After School program that was grant funded by a 21st Century grant; ‘No Child Left Behind Act’. I’m wondering if those years qualify towards retirement? For information about a particular situation or job title, please email our customer service representatives using our secure email form, and provide the approximate dates you worked in the program. One of our representatives will review your account and respond to your questions. Filling out the secure form allows us to safely contact you about your personal account information.